Thinking of installing blinds at your home or office? Perhaps you may want to consider using wooden blinds. Wooden blinds may be slightly higher in price as compared to the other types of blinds. However, the benefits of using wooden blinds surpass the price difference. Think of it as a long term investment. 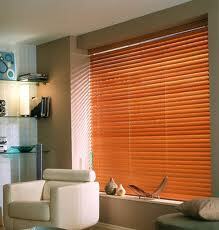 Wooden blinds can help to create a very relaxed environment. The feeling of being back to nature puts people at ease and gives us a comfortable feeling. No matter where you are, you can feel like you are in heaven. After a hard day at work, you just want to find a nice place to unwind. Imagine sitting at your favorite spot, relaxing over a cup of chamomile tea and simply just enjoying the privacy away from the eyes of others. There are many benefits of using wooden blinds and we shall explore them in further details. 1. Wood provides a natural look and blends well into any setting whether it is traditional or modern. It is suitable for all spaces like homes, spas or offices. 2. Good insulator from heat or cold – It is suitable for all types of weather or climate. You do not need to change blinds frequently. It does not block out air for ventilation. 3. Withstand temperature and sunlight well – Diffuses light well so it is not too bright in the room. It also does not spoil due to temperature change. 4. Versatile – Comes in different types of wood, shapes or colours. You may choose according to your preference on grain pattern, style and can be trimmed to size you want. 5. High level of privacy – View is not visible from outside. Wood provides the highest level of privacy. Other blinds pale in comparison for privacy level. 6. Easy to maintain – Low maintenance. You do not need to remove it for cleaning. Room always looks clean. For other blinds, regular cleaning is needed as dust is very obvious on the material. 7. Easy cleaning – Slats are thicker than other types of blinds thus cleaning is easy. Just simply use a cloth and a light cleanser. You do not need to remove the blind for cleaning or spend hours removing the dust. 8. Durable – High quality wood can last long for at least a few years. Wood does not warp easily due to coating with protective layer. 9. Versatile – Change look of it by re-staining or painting a new colour. Save a lot of money by not buying new blinds. 10. Safe – Wooden blinds are generally safer as there are no sharp edges. Suitable for families with the elderly or young children. 11. Gives a warm, cozy feeling. You can put the blinds at a corner of your home near the balcony as a space for you to relax. The benefits of wooden blinds are surely worth the money that you will be spending. Make your choice now.